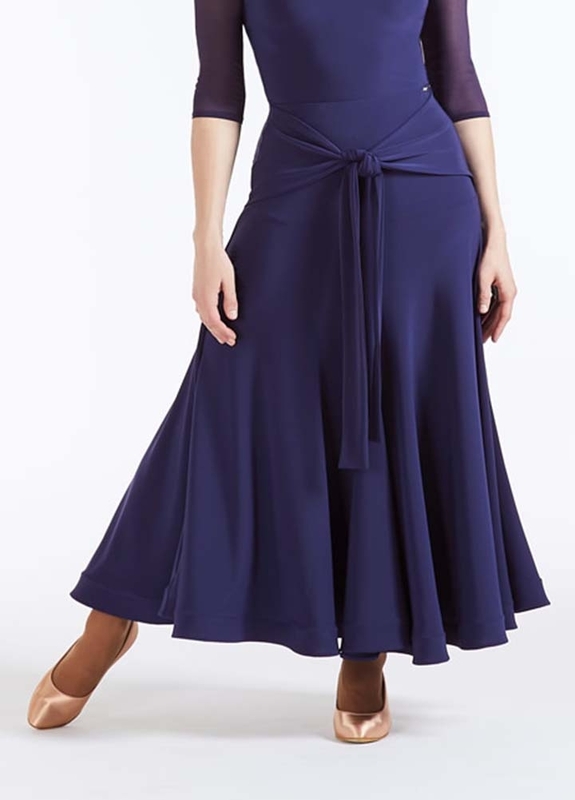 Women's Skirts, Chrisanne Clover, CAPTIVE BALLROOM SKIRT MIDNIGHT SKY, $163.83, from VEdance, the very best in ballroom and Latin dance shoes and dancewear. An elegant and versatile Ballroom skirt, full of volume and flare. This is a full crepe, 4-pannel ballroom skirt with a belted waist, attached at either side, giving the wearer complete choice in how to tie it. Pair this skirt with a dancewear top or leotard. Made from CHRISANNE CLOVER Luxury Crepe. Available in 5 sizes.